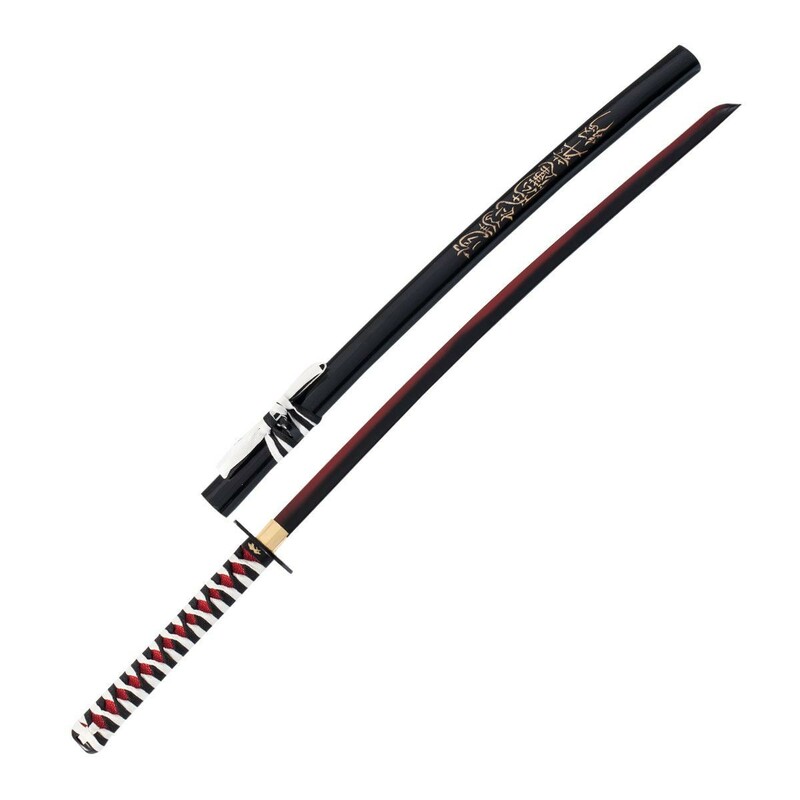 Two toned red and black blade with a square shaped tsuba and a black and white cord wrapped handle. Black lacquer finished scabbard engraved with kanji. For display only.